“Diabetes Mellitus is defined as a metabolic disorder characterized by chronic high blood sugar level with disturbances to carbohydrate, fat and protein metabolism resulting from defects in insulin secretion, action or both”1. Diabetes is a leading cause of morbidity and mortality worldwide. More than 80 percent of people with diabetes live in low- and middle-income countries. It is predicted to be the seventh leading cause of death worldwide by 20302. 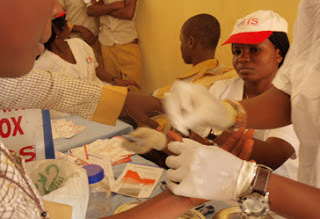 It has been estimated that four out of every hundred Nigerians have diabetes mellitus 3. 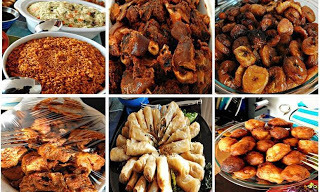 Diabetes is common among urban settlers in Nigeria, affecting those within ages of 35-70 years due to obesity, sedentary lifestyles, dietary intake, alcohol, smoking and black race. Sadly, this age group represents economically productive in the country. Diabetic patients are usually faced with complications like blindness, limb amputations, heart conditions and kidney disease. The cost implication for the treatment of the disease is very high and unaffordable among the low income people. The sick are less productive, dependent on relations and tax payers for survival and often experience discrimination. The school age diabetic patients find it difficult to concentrate on their studies due to their irregularities at school. Therefore, their educational development is in jeopardy. There is tendency that diabetes will gradually reduce the country’s population if care is not taken. To protect our future there are three basic suggested stages. In the primary prevention stage, we aim at increasing the level of awareness of the public on causes and effects of diabetes by educating them on needs for lifestyle modifications, exercise, diet modifications as well as signs and symptoms of diabetes. Government can also regulate products of eateries, outlaw smoking and alcohol to prevent diabetes. 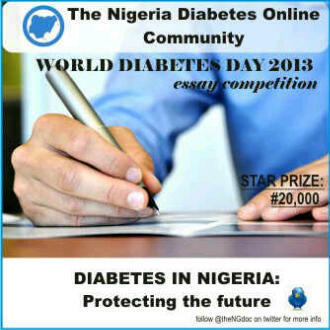 Interestingly, Nigerian Diabetic online community is doing a great job by reaching to all and sundry on this aspect. At the secondary level, the aim is to promptly diagnose diabetes and treat in pre-clinical stage hereby avoiding complications. In addition, Government and philanthropists are to be encouraged to offer free treatment to diabetic patients in the country. Government can as well encourage self-screening tests by subsidizing prices of glucometer for that purpose. We have today. Let us begin’. Our future starts from now, what we have in our hands may be worse than world war consequences if we allow it to degenerate. 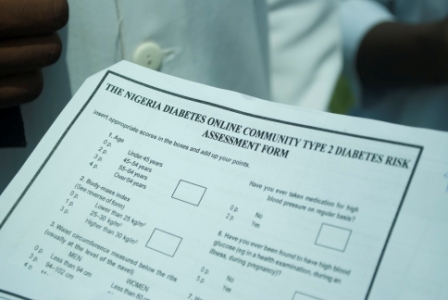 The Nigerian diabetic online community has shown concern to fight diabetes and save lives. Collectively, we are enjoined to unite to fight diabetes together. 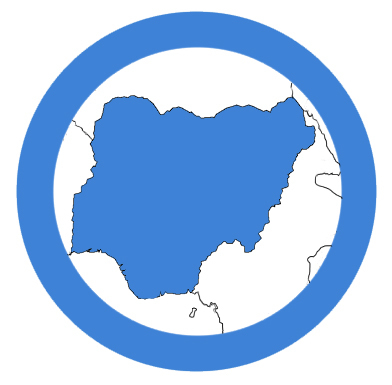 Nigeria typifies the classical example of living with Diabetes in a developing country where Diabetes is considered a social stigma and people are not eager to be termed or associated with it. Developing countries like Nigeria have their peculiar challenges especially when such countries are still battling with communicable diseases and with increase industrialization opening doors to spread of T2DM. We decided to take an innovative step by interviewing Mr Bolaji Lawal @BabanMoh , An investment banker with specialty in fixed income securities, capital market investment and corporate finance. 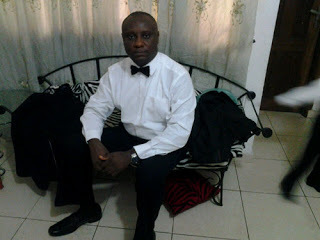 He is a Type 2 Diabetic and resides in Port Harcourt (South South, Nigeria). @theNGdoc: How has Living with diabetes affected your day to day activities? Ans: Initially it was difficult but as I understood and got used to living with D,it became easier. Am hardly affected now. 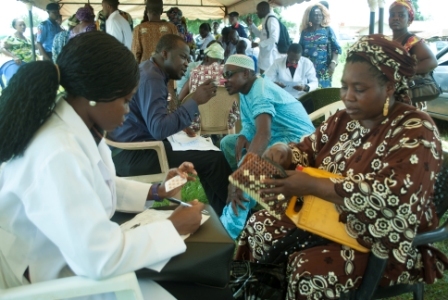 @theNGdoc: How has the Nigeria health sector being able to improve your living with D? Ans: I am eternally grateful to the University of Port Harcourt teaching hospital for saving my life. @theNGdoc: Does the Health Care play any role in managing and preventing Type 2 Diabetes in your area? @theNGdoc: What are the challenges faced by PWDs in Port Harcourt, Nigeria? @theNGdoc: Does the Health Care policy of Nigeria recognize the International Diabetes Charter of Rights and Responsibility of people living with PWD? Ans: Please what is the Int’l Diabetes Charter of Rights and Responsibility about? @theNGdoc: What ways can the Nigeria Diabetes online community, International Communities and Federal Government of Nigeria affect and help improve lives of PWDs in Nigeria in addition to activities already on ground. The purpose of this interview to encourage as many PWDs to identify with the Global diabetes online communities for care and support and to also help as many national and international organizations interested in Diabetes prevention (T2DM) and care (T1DM and T2DM) in developing countries get access to information directly from PWDs. We also wish to appreciate Mr Bolaji Lawal for being a part of this event. The Outreach was collaboration between three Non Governmental Organisations namely: The Nigeria Diabetes Online Community (The NGDOC), Heal the World Foundation Nigeria and Curb Cancer Nigeria. It was conducted at Idi Iroko, Ogun State. Idi Iroko is a small Community in the outskirt of Ogun State, Yewa South Local Government Area. It forms a border between Nigeria and Benin Republic. Officers of Nigeria Customs Service (NCS) and Immigration are on both sides of the border to check people passing through the place in order to curb illegal trades. It is about 3 hours drive from Sagamu. The prevailing occupation is trading. Adequate awareness was conducted in the community about the outreach days before, this reflected in the huge number of people that turned out for the outreach. A team of volunteers from the 3 organizations arrived at the venue at about 10 am in a bus after a journey which lasted about three hours. A total of about 1500 people were already at the venue awaiting the medical team. Questionnaires were administered to the people to find out about their knowledge, awareness and attitude to Diabetes and risk assessment. A brief health talk was delivered by one of the medical personnel. 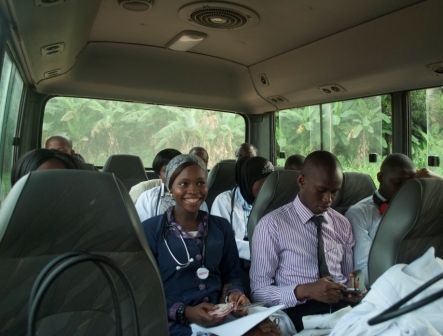 Each participant went through the vital signs stations before they saw the doctors and then screening for diabetes and counselling was carried out. The outreach lasted for over five hours .The medical outreach eventually ended at about 4pm and the medical team left. 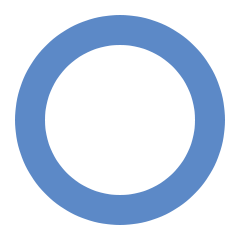 Type 1 Diabetes Mellitus (T1DM) in Nigeria: Rare or not obvious? Type 1 diabetes is a type of Diabetes Mellitus characterized by loss of the insulin-producing beta cells of the islets of Langerhans in the pancreas, leading to insulin deficiency, it can affect children or adults, but was traditionally termed “juvenile diabetes” because a majority of these diabetes cases were in children. The true burden of T1DM is not really known, but a difference in the pattern and outcome of T1DM in Nigeria compared to other developed countries seems to be present. Most DM screening data available is not population-based and is of limited value for making generalizations about Diabetes in the Nigerian Children. 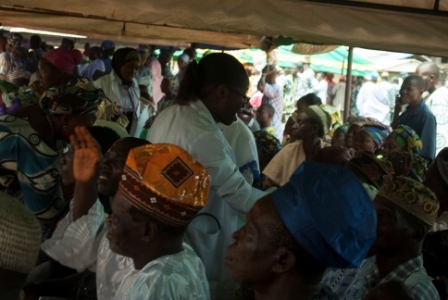 According to Dr. Mrs Fetuga,Consultant Pediatric Endocrinologist at the Olabisi Onabanjo University Teaching Hospital in South-West Nigeria who researched into the prevalence of Type 1 Diabetes Mellitus cases at her center, only about 8 cases of T1DM have been seen with most presenting with Diabetic Ketoacidosis (a potentially life-threatening complication in people with diabetes, it happens predominantly in those with type 1 diabetes, but can occur in those with type 2 diabetes under certain circumstances. DKA results from a shortage of insulin; in response to which the body switches to burning fatty acids and producing acidic ketone bodies that cause most of the symptoms and complications). We wondered if T1DM is actually rare in Nigeria or our pattern of screening that excludes children vis a vis poor awareness of DM & its types among natives are responsible for the low data on T1DM. She also raised concerns about poor knowledge and awareness of T1DM among mothers making it difficult for them to even explain what is wrong with the child when symptoms are demonstrated (loss of weight,frequent urination,increased thirst and increased hunger)these symptoms may develop rapidly (weeks or months) in type 1 diabetes. Most parents also default follow-up after treatment with a high level of non-compliance to insulin use.. The International Diabetes Federation “Life for a Child” Programme was established in 2001 with support from the Australian Diabetes Council and HOPE worldwide and is an innovative and sustainable support programme in which individuals, families and organisations contribute monetary or in-kind donations to help children with diabetes in developing countries. Here’s a call to HCP, Advocates, PWD to clamor for a more active community research into the epidemiology of T1DM in nigeria, passionate awareness, care and proper advocacy. We at @theNGdoc are resolved towards committed advocacy for T1DM as well as the other types of DM and would appreciate any information on any child diagnosed of T1DM. We are currently partnering with Elizabeth of T1international and the endocrinology unit of the pediatric department of Olabisi Onabanjo University Teaching hospital towards creating adequate grass-root awareness and proper care for T1DM children in Nigeria. With these collaborative efforts we hope towards promoting grass root awareness for T1DM in Nigeria and adequate care for those with it. Lets Keep the Hope Alive. Diet is one of the most important behavioral aspects of diabetes treatment. Basic principles of nutritional management, however, are often poorly understood, by both clinicians and their patients. It is noteworthy that people with diabetes have the same nutritional needs as anyone else and thus must learn to eat well-balanced meals in the right amount, keeping fit and following the medications as prescribed by their HCPs. 1. What you eat: Your diet makes a huge difference. Basically, all you should eat is mostly plant foods; cut back on refined carbohydrates and sugary drinks, and choose healthy fats over unhealthy fats. 2. When you eat: Diet is part of it but keeping regular meals and snacks also affect your blood sugar level and will help to keep them more constant. 3. How much you eat: Portion sizes matter. Even if you eat very healthy meals, if you eat too much you will gain weight, which is a factor in diabetes. You do not need to eat special foods, but instead simply emphasize vegetables, fruits and whole grains. A diabetes diet is simply a healthy eating plan that is high in nutrients; low in fats and moderate in calories. It is a healthy diet for anyone. 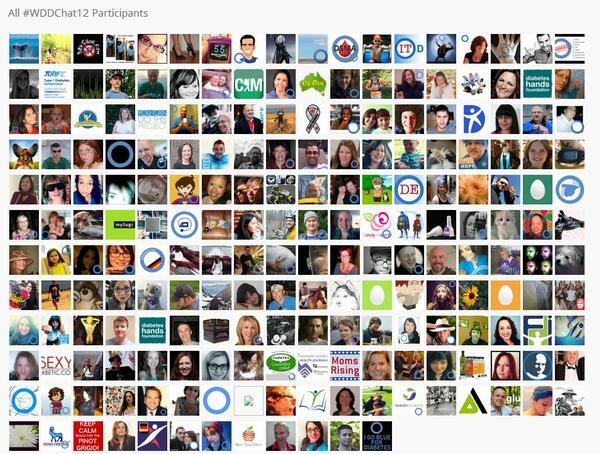 WORLD DIABETES DAY CHAT NOVEMBER 14, 2013. 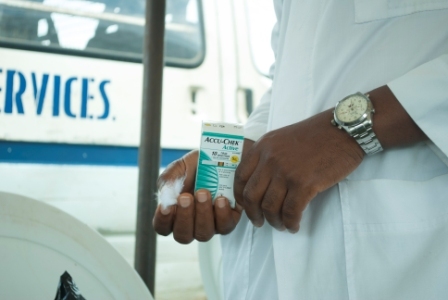 According to the International Diabetes Federation, health in sub-Saharan Africa has been traditionally dominated by infectious disease, HIV/AIDS, and poverty. With rapid urbanisation, non-communicable diseases (NCDs) like diabetes are quickly becoming a new priority for health in the region. As urbanisation increases and the population ages, diabetes will pose an even greater threat. In 2011, 14.7 million adults in the Africa Region are estimated to have diabetes, with a regional prevalence of 3.8%. The range of prevalence (%) figures between countries reflects the rapid transition communities in the region are facing. The highest prevalence of diabetes in the Africa Region is in the island of Réunion (16.3 %), followed by Seychelles (12.4%), Botswana (11.1%) and Gabon (10.6%). Some of Africa’s most populous countries also have the highest number of people with diabetes, with Nigeria having the largest number (3.0 million), followed by South Africa (1.9 million), Ethiopia (1.4 million), and Kenya (769,000). Africa is currently the second largest mobile phone market after Asia, with more than 700 million mobile connections and a projected rise to almost 1 billion by 2016. More people on the continent have been introduced to the internet via mobile phones, and currently, Africa’s mobile data usage amounts to 14.85% of the total internet traffic – second only to Asia. In view of this, social media health platforms are rising with social media becoming an integral part of modern society fostering a more intense, engaging and democratic discussion. Social media has moved beyond being a tool for young individuals to share their private lives (pictures, messages) to fostering serious discussion on technology, health and business. The diabetes online community in Africa started up with Nigeria and South Africa joining in the world diabetes day 16hour twitter chat in 2012 organized by the Diabetes Social Media Advocacy in the United States of America, (http://diabetessocmed.com/). This chat featured about 6 countries, 449 participants, about 5 thousand Tweets, 6million impressions and reaching over 14 million people. With Africa’s mobile subscriber base estimated to grow annually by a significant 30 percent, utilization of social media in establishing online health peer support communities in Nigeria and Africa has helped create awareness, educate and act as a great social media peer support. To celebrate this year’s World Diabetes Day (WDD) on November 14, the Global Diabetes Communities spearheaded by The Diabetes Community Advocacy Foundation formerly Diabetes Social Media Advocacy is coordinating a 24 hour global twitter chat for diabetes awareness and to celebrate the world diabetes day. This 24hour twitter chat which will involve diabetes organizations like the Australian Diabetes online community, Blueprint Barbados,100 Campaign, Great Britain Diabetes online community, diabetes daily , diabetes hand foundation and the Nigeria diabetes online community aims at achieving a global conversation on the state of diabetes care. The Nigeria Diabetes online community will be moderating the chat from 3pm-4pm E.S.T (9pm-10pm local time) and we will be discussing the Theme: Diabetes Prevention and Care in Nigeria: the past, present and future. This is a clarion call to all people living with diabetes, diabetes advocates, and health care providers, government health agencies to join the global diabetes movement and get their voices heard. The Chat will run from 0:00hrs -24:00hrs E.S.T (5am Nov 14- 5am Nov 15 local time). Join the Nigeria diabetes online community from 8pm-9pm Nov 14 as we discuss issues pertaining to diabetes in the continent. In November 2010, Cherise Shockley cordinator of @DiabetesSocMed founded the Blue Fridays Initiative to spread the word about World Diabetes Day and Diabetes Awareness Month. Diabetes is more than just a national issue; it is a world epidemic. Blue Fridays brings the global diabetes community together to raise awareness and celebrate World Diabetes Day. Cherise received several emails and Facebook messages asking her to extend Blue Fridays and in december 2011, she honored the request she received from many people throughout the diabetes community by asking everyone to wear something blue every Friday. Inspired by the Cherise’s #bluefriday success @hadejumo started the blue friday personality of the week #bluefridaypow where he aimed at showcasing and profiling people every friday who are dedicated to creating diabetes awareness as a way of promoting diabetes awareness, blue friday and reducing the stigma associated with diabetes in nigeria and africa in general. This program which featured so many people (PW/OD) was generally accepted by nigerians and henceforth will be continued (from the 14th of March, 2013) by @theNGdoc and @diabeticare. If you are a PWD,a Diabetes advocate or an interested individual and you want to be featured as our #bluefridaypow (Blue Friday Personality of the week) send your Your Name, when diagnosed if a PWD if not skip, your activities, profession, works (blogs, research or articles on D) or what you do generally! Should you have any quotes or sites we can quote from, we’d gladly do that. Send a picture of you in blue and with answers to the questions above to thengdoc@gmail.com. Expect a responce from us within 3 working days. Thank you and keep the awareness alive. The discussion was centered on Diabetes Awareness in Nigeria – how much is too much” co-hosted by @theNGdoc and @diabeticare aimed at accessing the level of awareness and the adequacy of the information about diabetes circulating among Nigerians.